Spent some time in the studio “detailing” this evening. 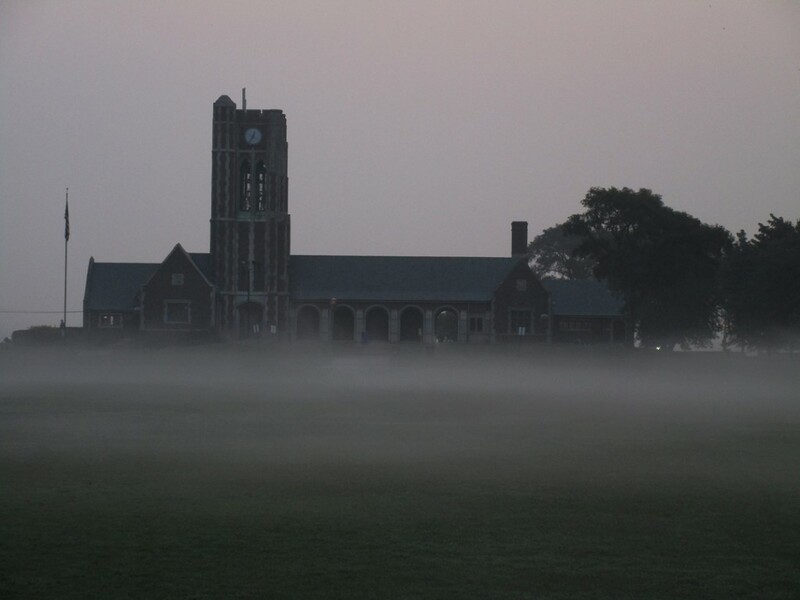 It was a misty & foggy morning today. 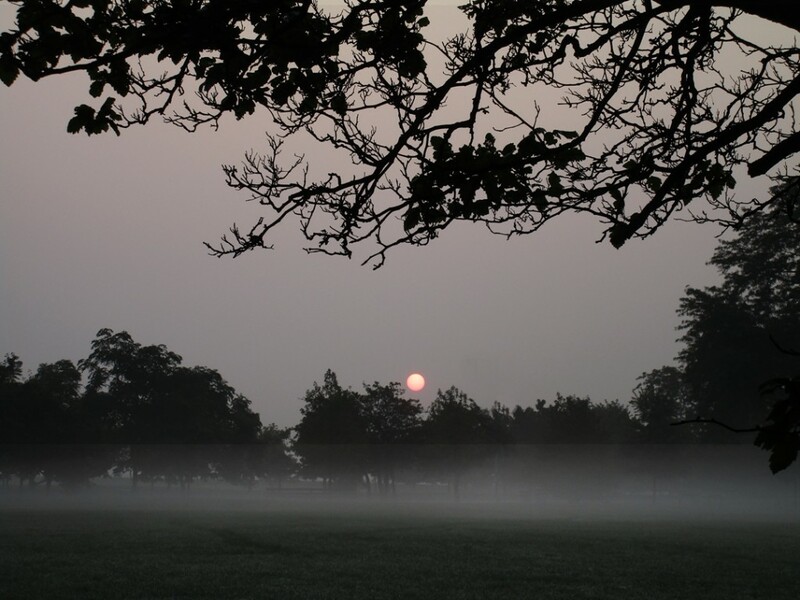 Silent & serene. 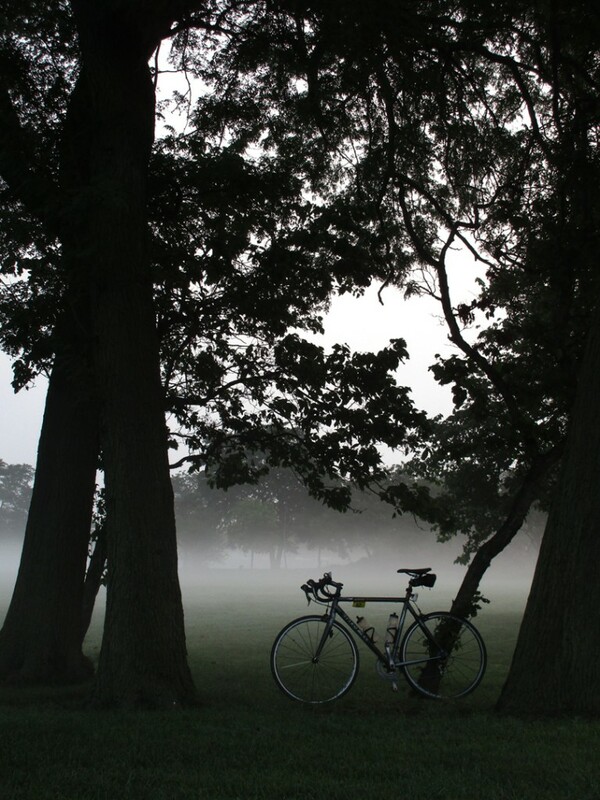 A relaxing ride to work out some of the kinks & stiffness after this past weekend’s Triple Triathlon. 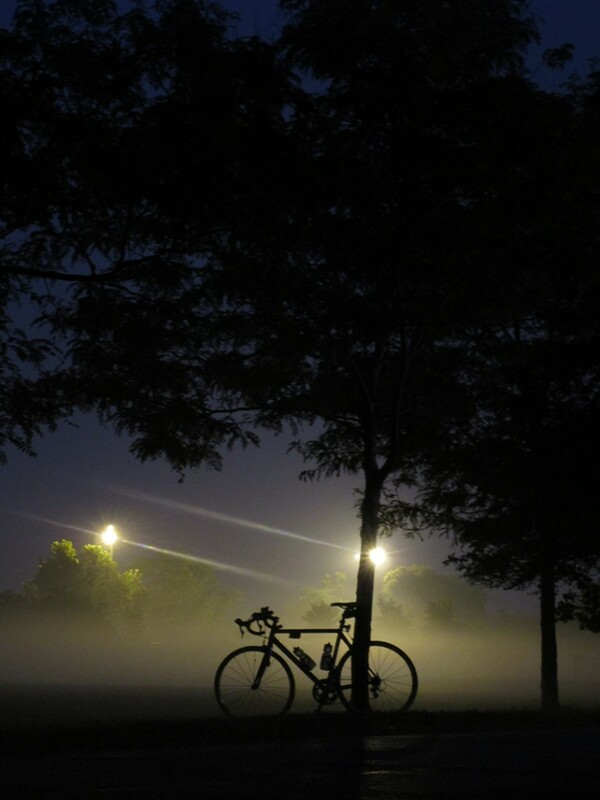 Triathlon mornings start very early. 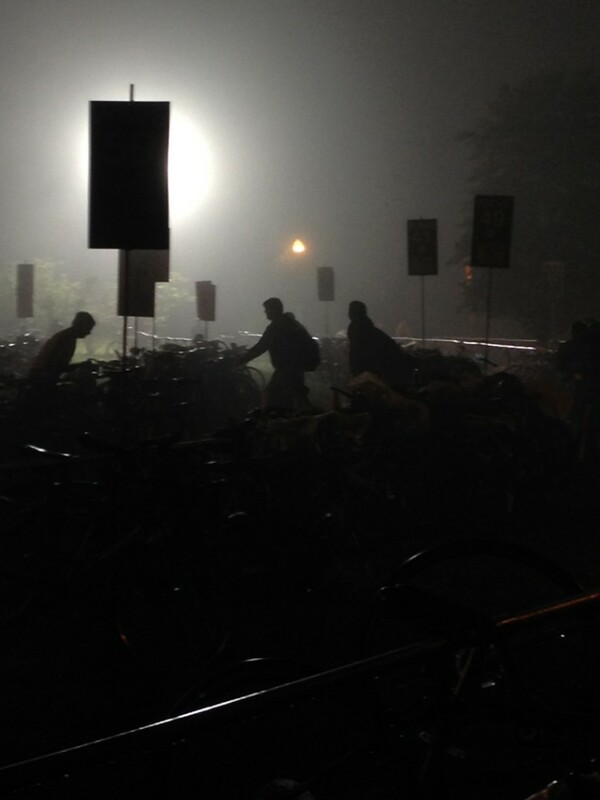 Thousands of hopeful triathletes all bringing their bikes & gear into the Transition Area… which opens at 4:00am!!! It’s the place where you store all of your gear, and will return to repeatedly throughout the race to change for each leg. 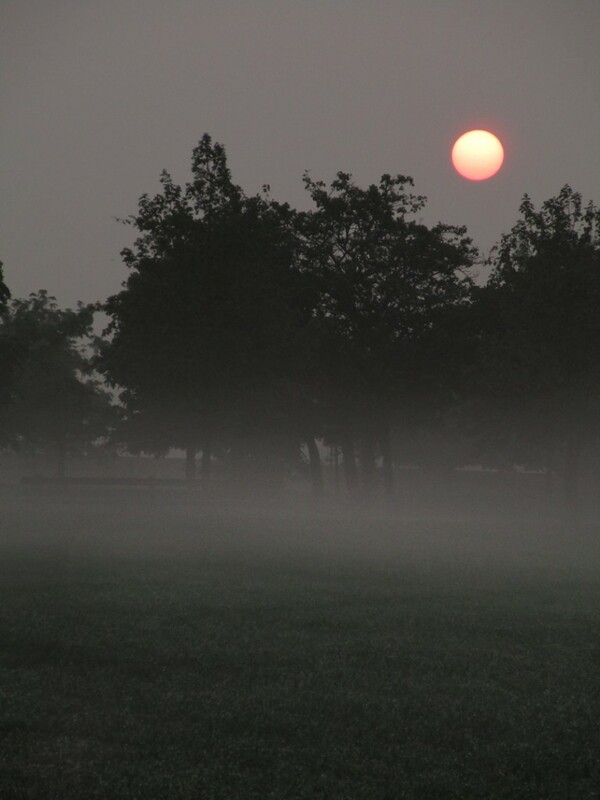 This morning was so misty & foggy, we all kinda looked like gorillas in the mist. 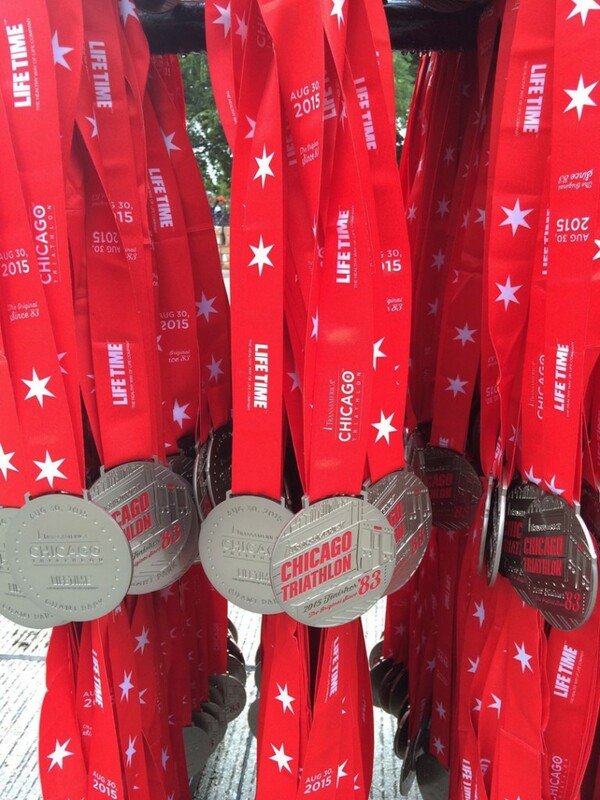 And for the record, the Chicago Triathlon is the LARGEST Triathlon in the US!!! 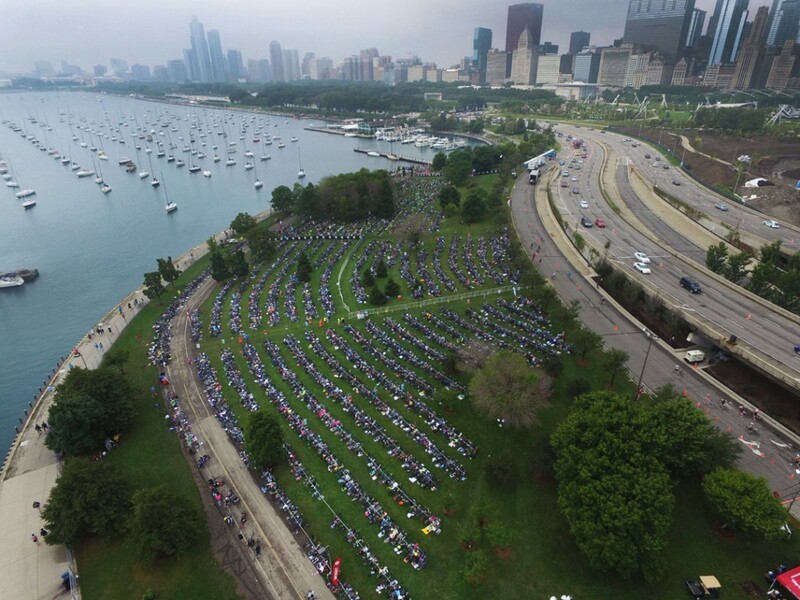 More than 9,000 athletes from across the country run, bike, and swim along Chicago’s lakefront. 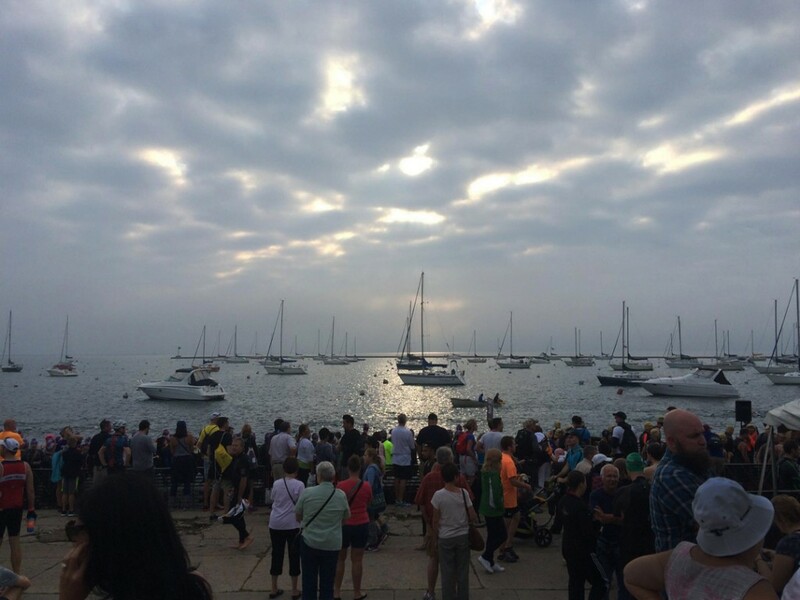 It’s the fifth oldest triathlon in the world. Athletes from 46 states and 18 different countries. Kind of exciting!!! 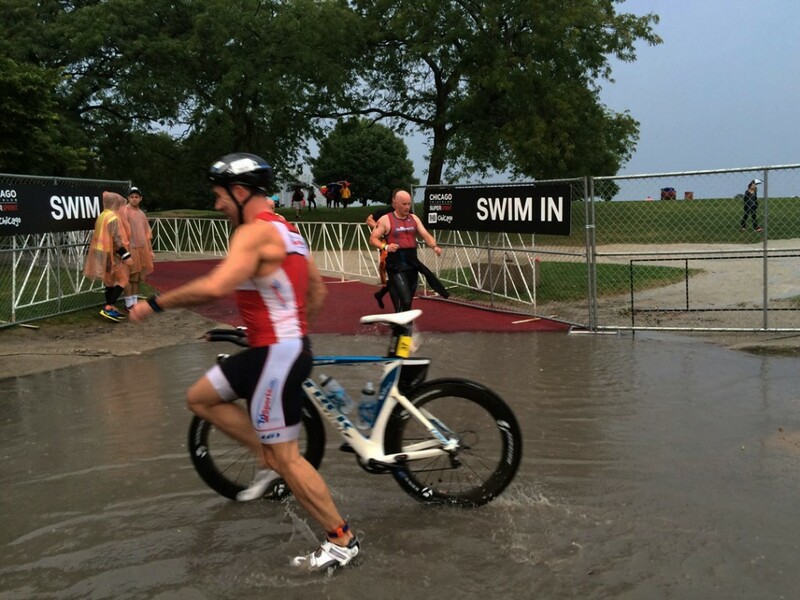 courtesy of the Chicago Triathlon Facebook page. And then, once you have all of your gear sorted & organized by race, it’s time to get ready for the swim – and head over to the Swim Start. Since I was doing this race by myself this year (my Tri-partner in crime Chris had to bow out with a bad stress fracture), I didn’t really have anyone good to take photos “during” the race. 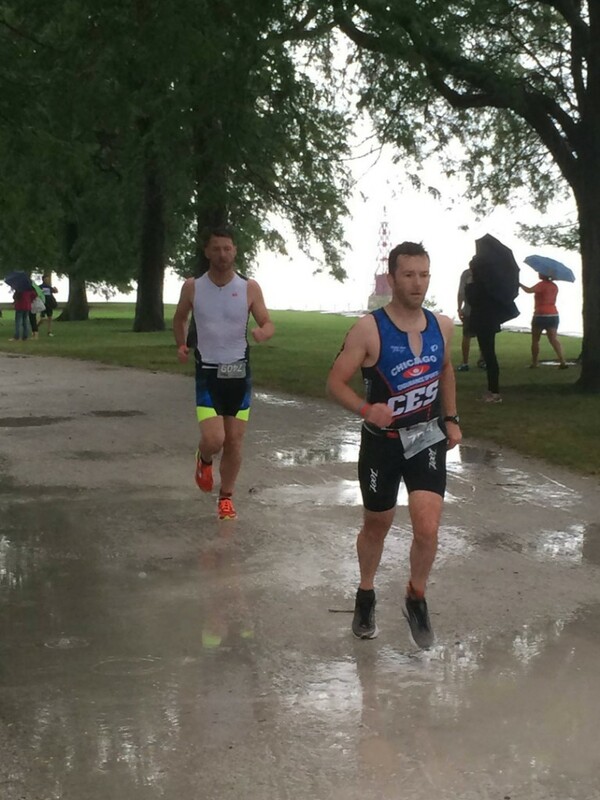 We’ll have to wait for the professional race photographers to send out their shots of the triathletes… to see how goofy I look in mid-stride! 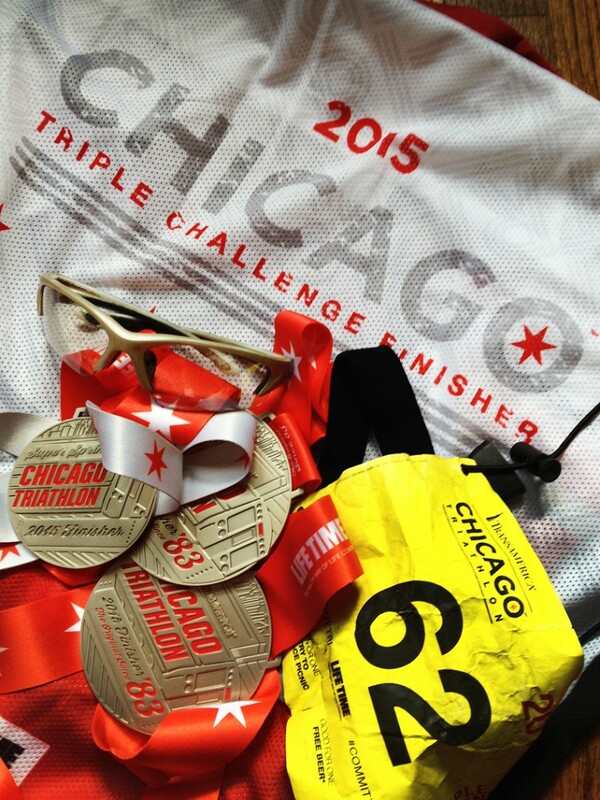 Today was the second and third triathlons to complete my Chicago Triple Triathlon Challenge! 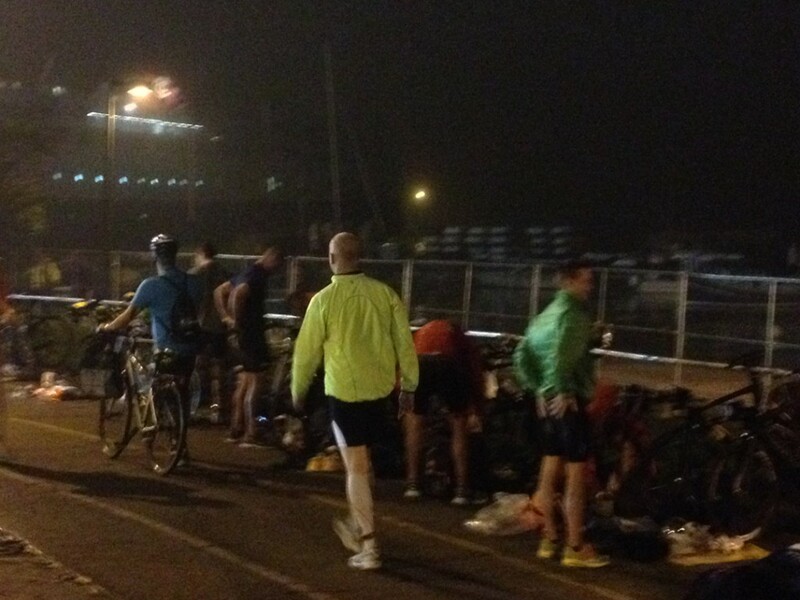 Yesterday we did the SuperSprint… and today was International distance immediately followed by Sprint distance. 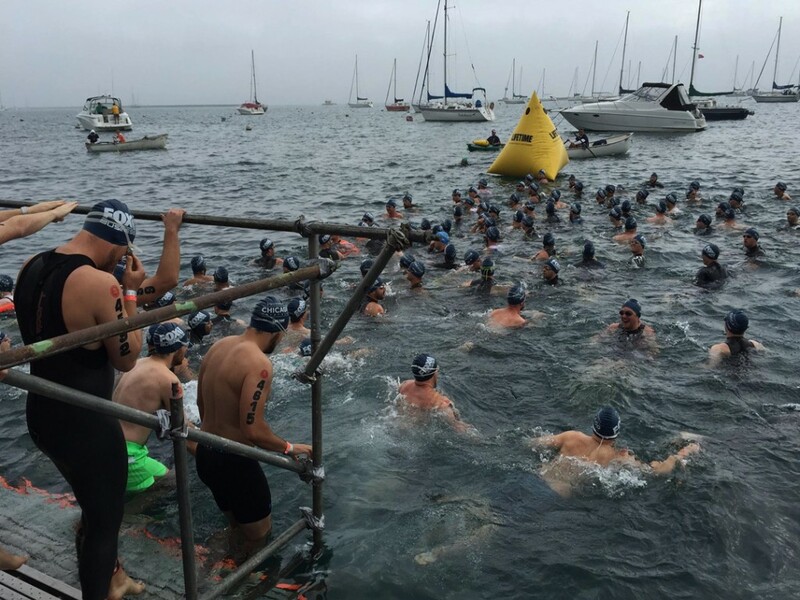 So I started with the Swim in Monroe Harbor. Basically straight across form Buckingham Fountain south to the Shedd Aquarium and then back north to the Chicago Yacht Club. Luckily for all of us, the water temperature was SO MUCH better today than yesterday. A full 8-degrees warmer! Which makes a HUGE difference. Yesterday’s water temperature was 56-degrees! Today, an almost “balmy-by-comparison” 64-degrees. Still cold. Who am I kidding? But not so cold that it hurt like yesterday!!! 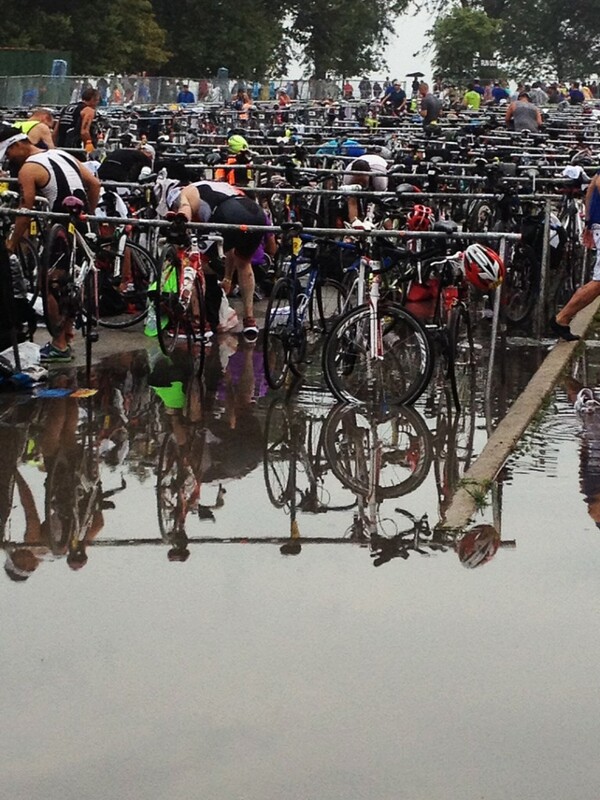 Some more photos from the Chicago Triathlon Facebook page… of course, it was a lot darker when I started in Wave #1. 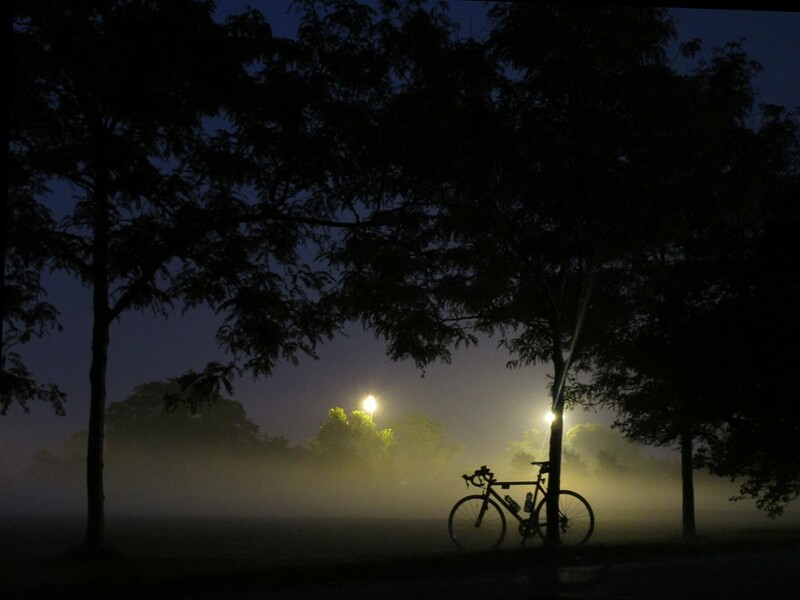 My start time was 6:00am… about 20 minutes BEFORE sunrise!!! Then it’s back to the Transition Area to change for the Bike portion. Then it’s up onto Lake Shore Drive headed all the way to Hollywood where LSD ends. Turn around and come back to the city. Then it’s a few more miles “under the city” as we ride Intermediate Wacker Drive and the “best-kept-secret” Busway to McCormick Place and back. 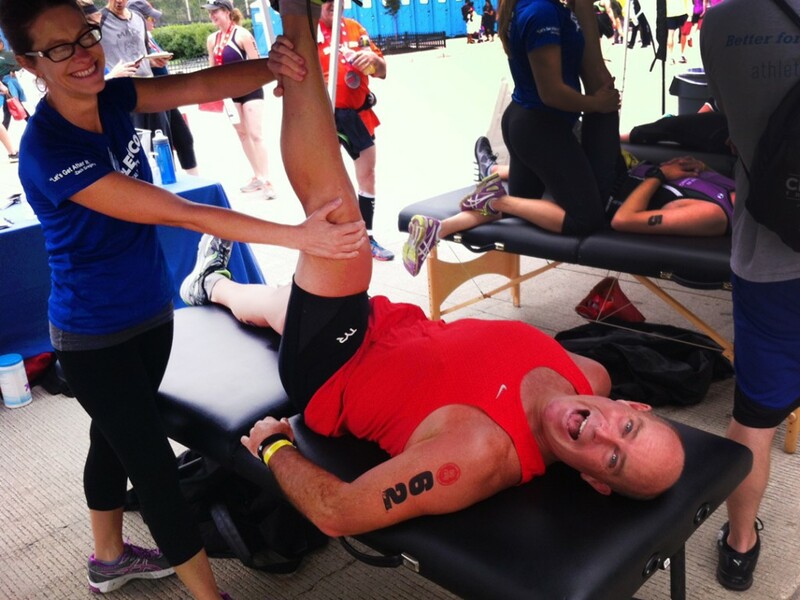 Again at the Transition Area to switch to my running clothes. 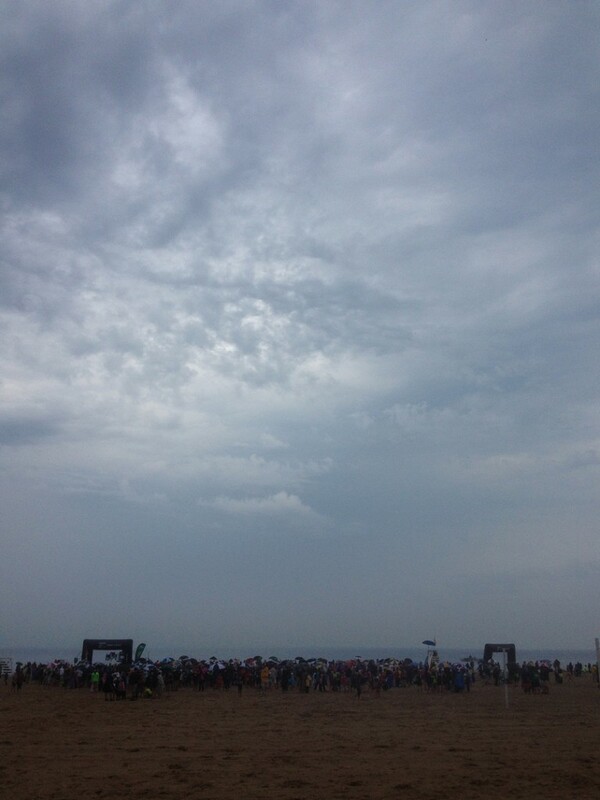 Then it’s off south to 31st Street Beach and back to the Grant Park Finish Line. 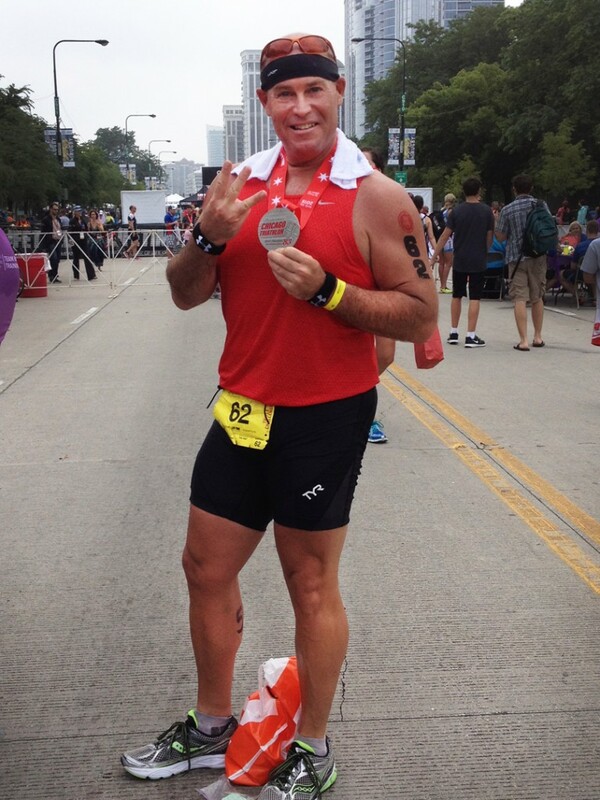 And by “finish” I mean of Triathlon #2… Number Three still to come!!! So it’s grab a medal, some Gatorade and head back to the Swim Start where they’ve moved our wetsuits & swim gear there for us already. Another change of clothes and it’s back in the water. This time it’s shorter… basically even with Buckingham Fountain north to the Yacht Club. 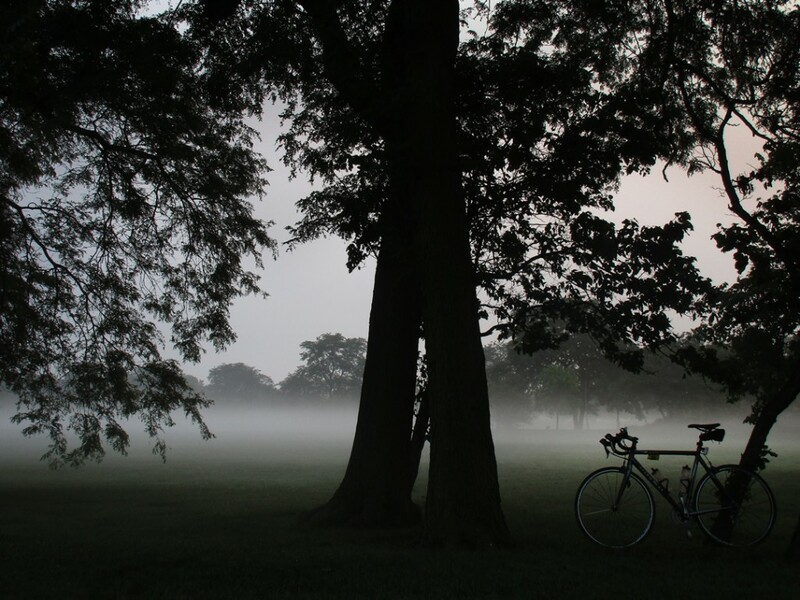 Then “transition” back to bike gear for another roundtrip on Lake Shore Drive up to Hollywood and back. One last “transition” and it’s back in running gear for the last leg. This time the Finish Line does indeed mean FINISH!!! Triathlon #3 DONE. A celebration… and a HUGE sigh of relief!!! I made it… yeah me! Luckily, my friend Nancy was there to hang with and snap a few pictures. She has done the Sprint Relay swim portion… not quite exhausted, and willing to be my photographer!!! 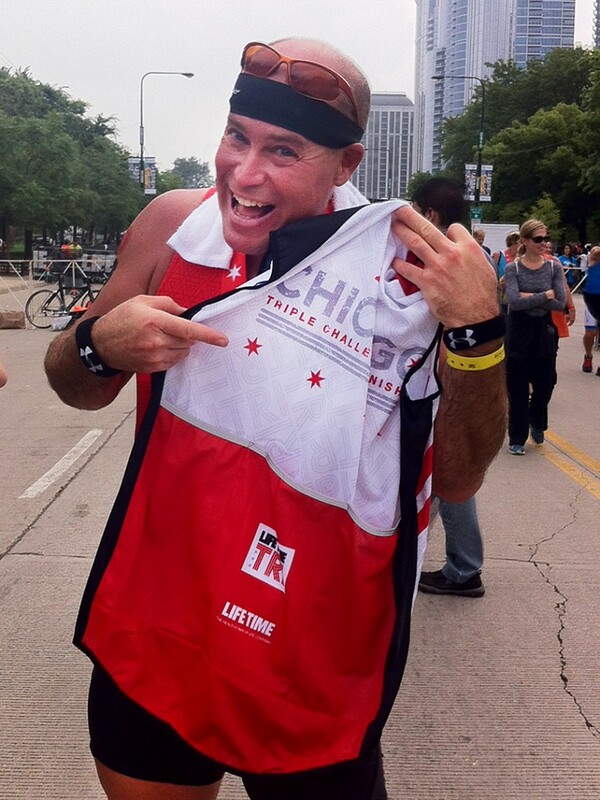 Not only did I get my three medals… I also got a commemorative Triple Tri running vest. 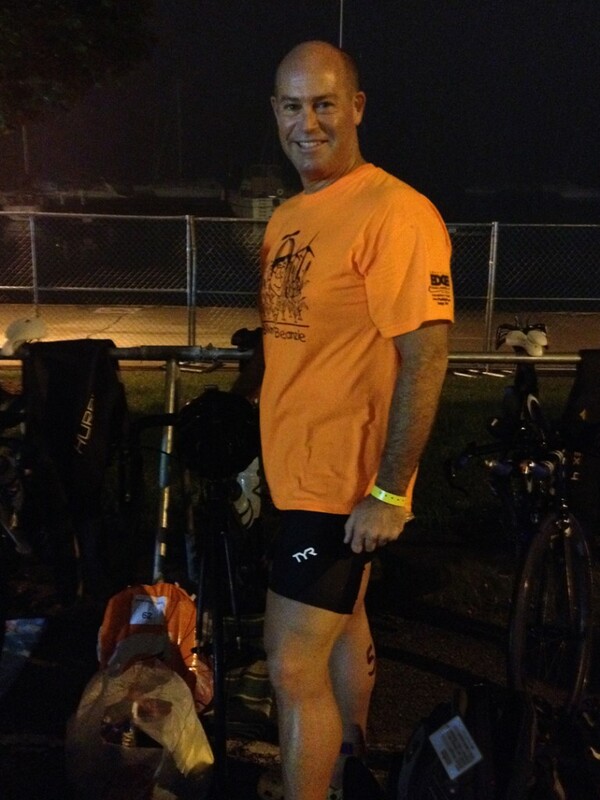 Only the “official” Triple Tri finishers got them… and that’s me! An official Triple Triathlete!!! 58.8 combined Triathlon miles for the three distance. Whoo-hoo! 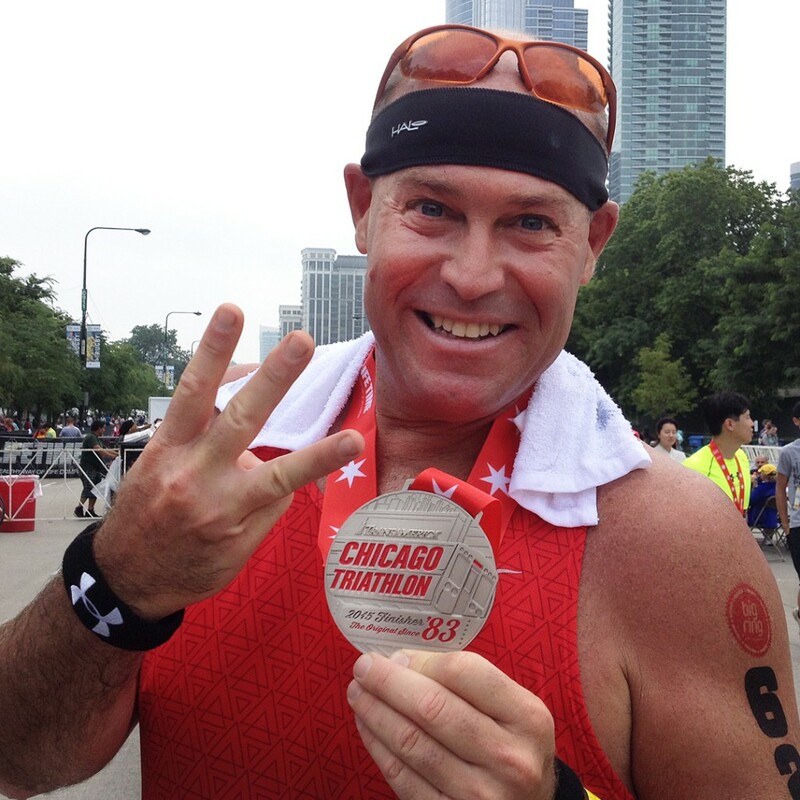 So here we have it, the end of my day and the end of the Chicago Triple Triathlon Challenge. Another adventure under my belt!!! After this morning’s race, I went to the Bucktown Arts Festival to see some of My Talented Friends. A goo dchance to say hello, see some art and walk off a little stiffness. Then to the studio for some more “porcelain therapy.” Gotta wrap ‘em up so I can get home early to pack my gear, eat well & go to bed early for tomorrow’s big adventure! One down. 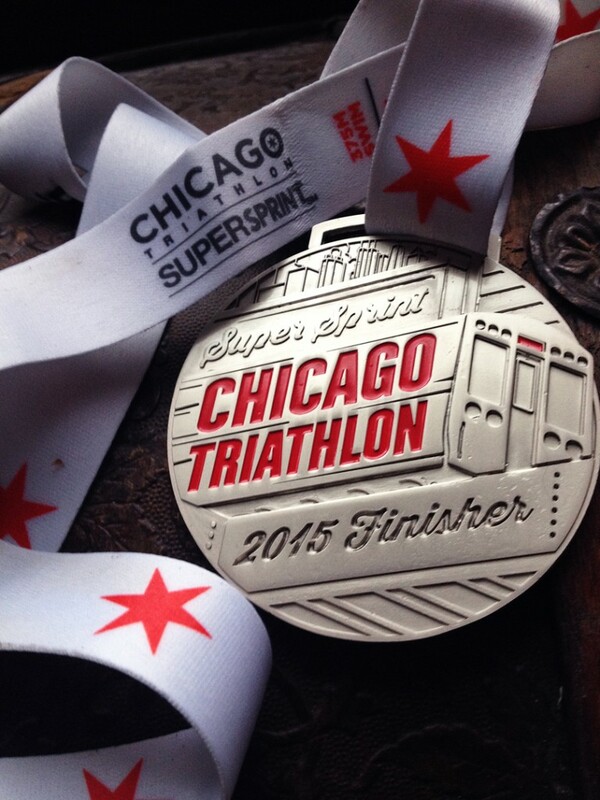 Two to go tomorrow for the Chicago Triple Tri Challenge. 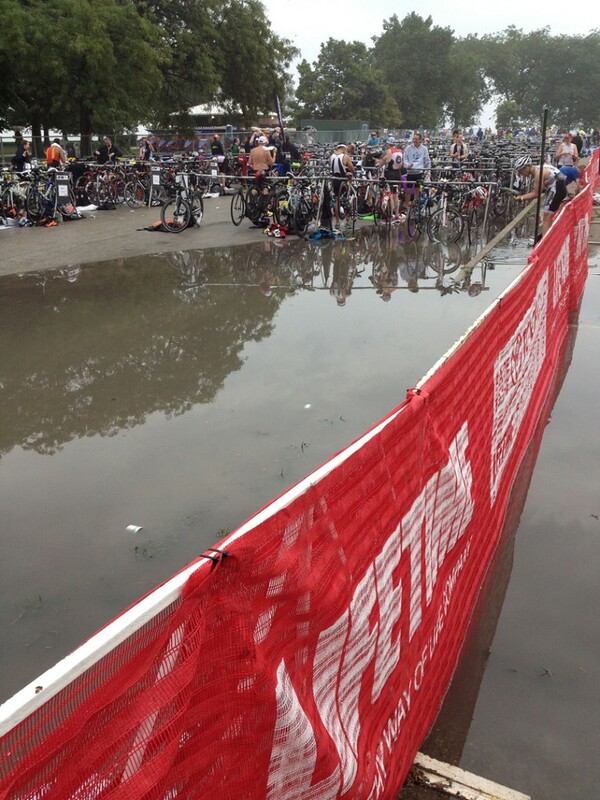 This morning’s SuperSprint was a rainy, muddy, puddley mess with flooded transition areas & squishy running paths. Oh yeah, it was raining and the lake is FREEZING cold. 56-FRIGGIN’ DEGREES COLD!!! So cold that it knocks the wind right out of you. Tough to catch your breath. Kinda feels like you have asthma… and struggling to find a swim stroke beyond flailing! Otherwise a great day… hoping tomorrow has better weather! Today was the short one… tomorrow will be a lot longer & a lot further!!! Registered. Checked-in. Tagged. And in the studio for a little pre-race “porcelain therapy” before the big race weekend. 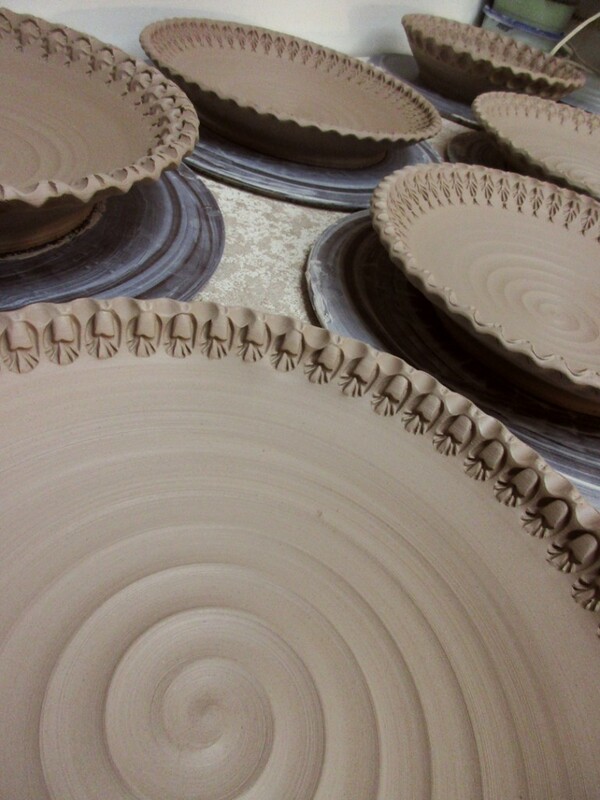 More bowls freshly stamped in the studio. 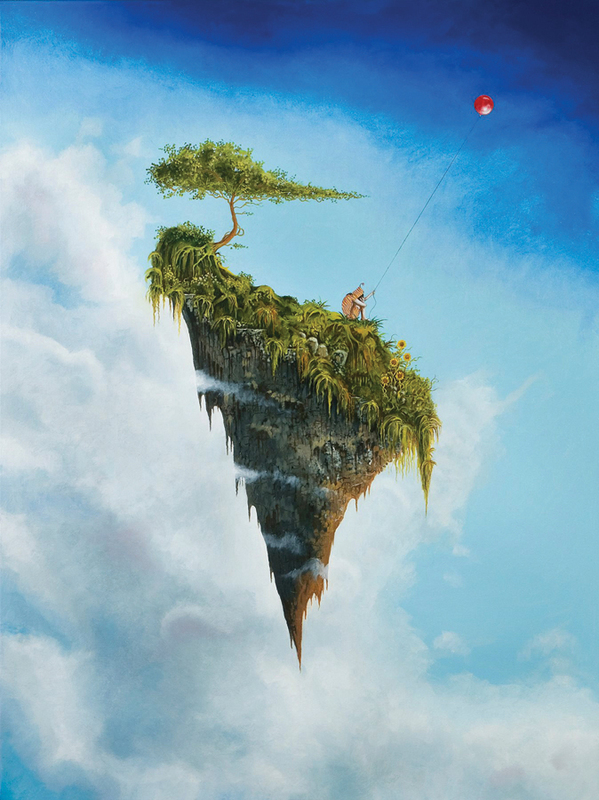 With all of the other talented artists at “Art In The Garden” this year… I’ve got to step up my game and make sure that I have some new work to show off in the garden as well!!! 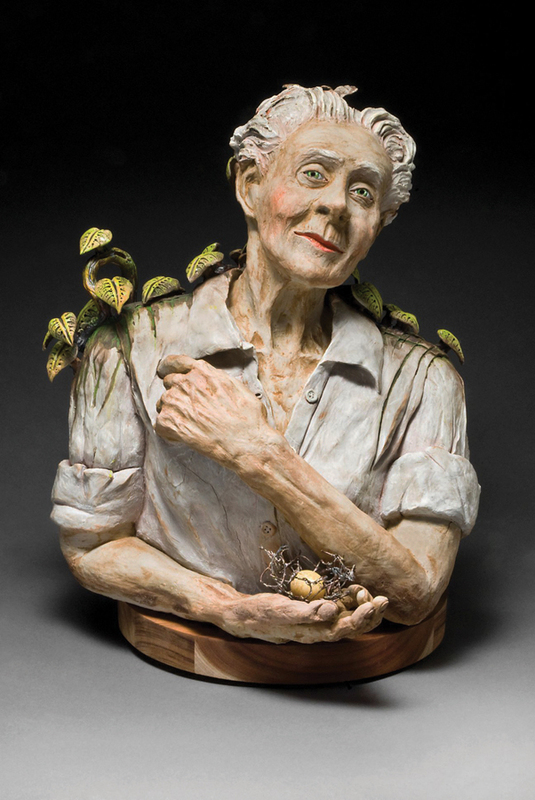 The newest addition to “Art In The Garden” is my friend Martin Chadwick. 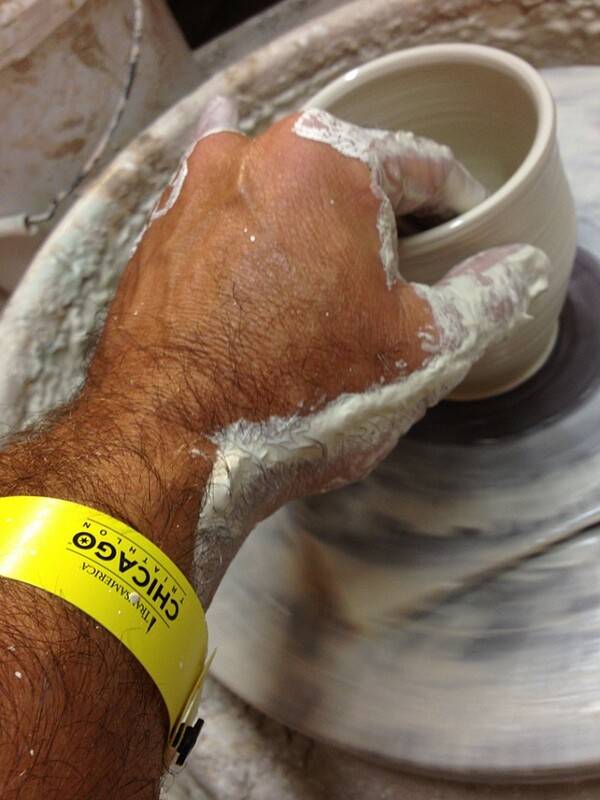 He started taking my Beginning Wheelthrowing pottery class with his wife Christi. It wasn’t until I went to their house for dinner one night that I got a real insight into his wonderful world. All I had seen from him was round pots on the wheel. All fine & good, but c’mon… not when there’s THIS kind of talent being hidden under there somewhere!!! Bring it out. Show it off. And now he is… welcome to “Art In The Garden” Martin. Cheers mate!!! 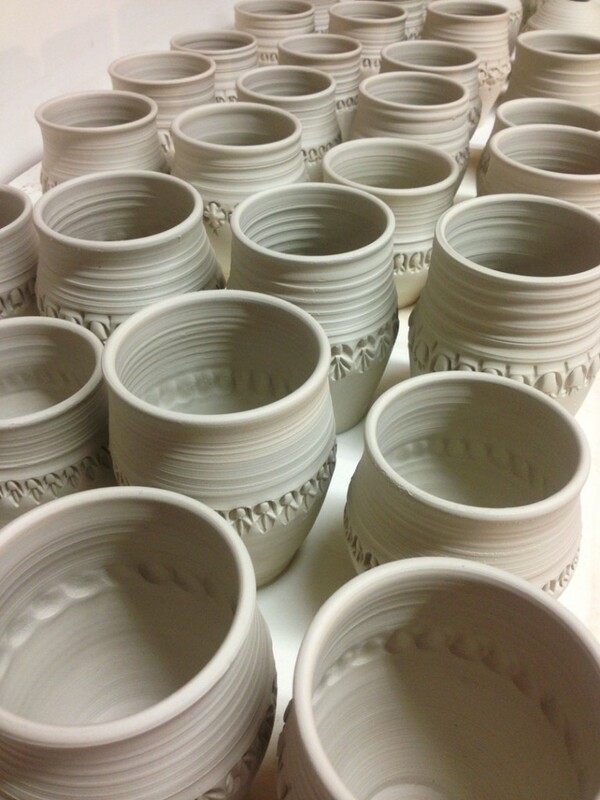 In addition to his fantastic paintings, Martin has continued working in clay. His wheelthrowing adventures have been derailed just a bit to experiment and pursue more sculptural endeavors. 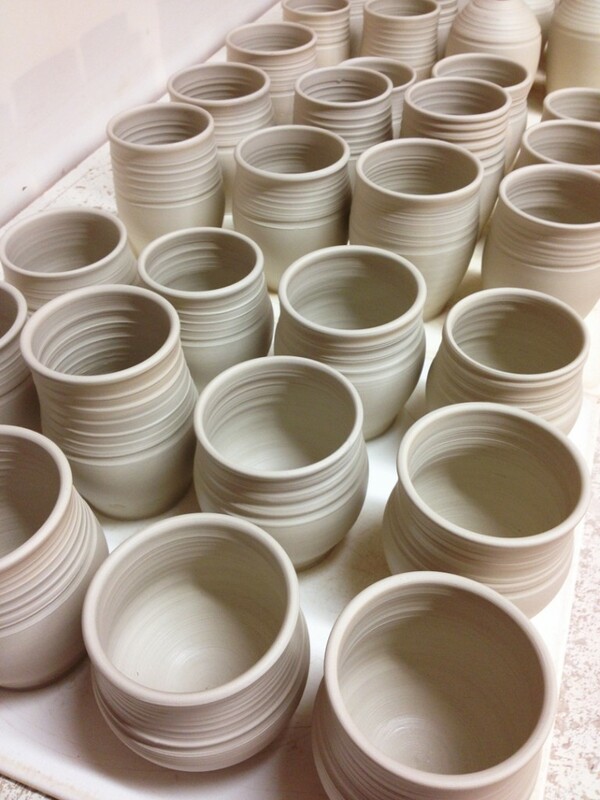 It’s been so much fun to watch Martin’s world grow, evolve and expand through clay. 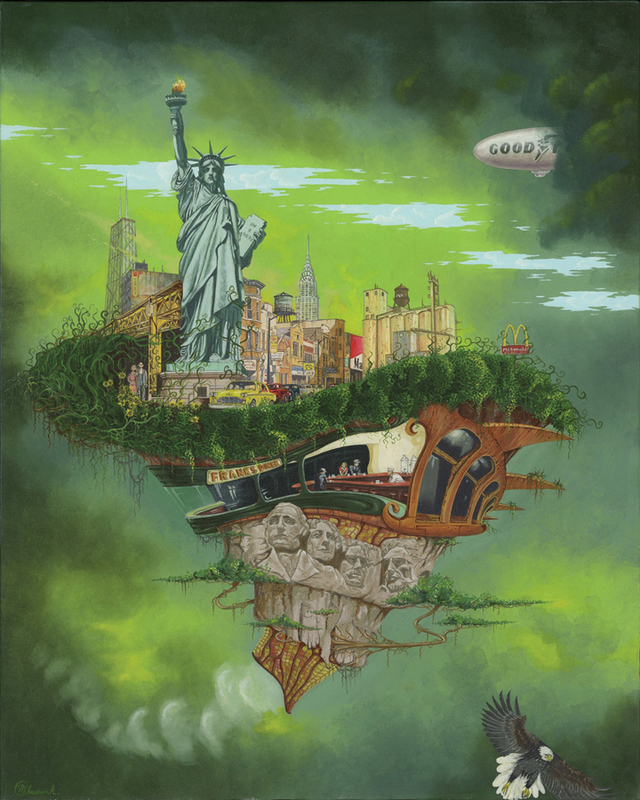 His surrealist worlds have leapt off the canvas and taken on lives of their own. 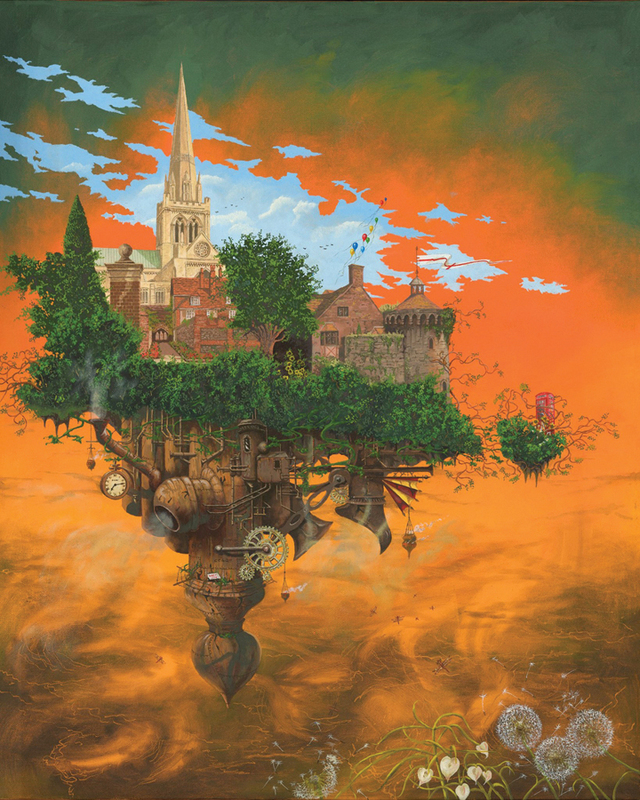 This will be Martin’s very first “art fair”… so it will be interesting to see what he shows us in the Garden. I’m hoping that it’s a LOT of all things wonderful!!! 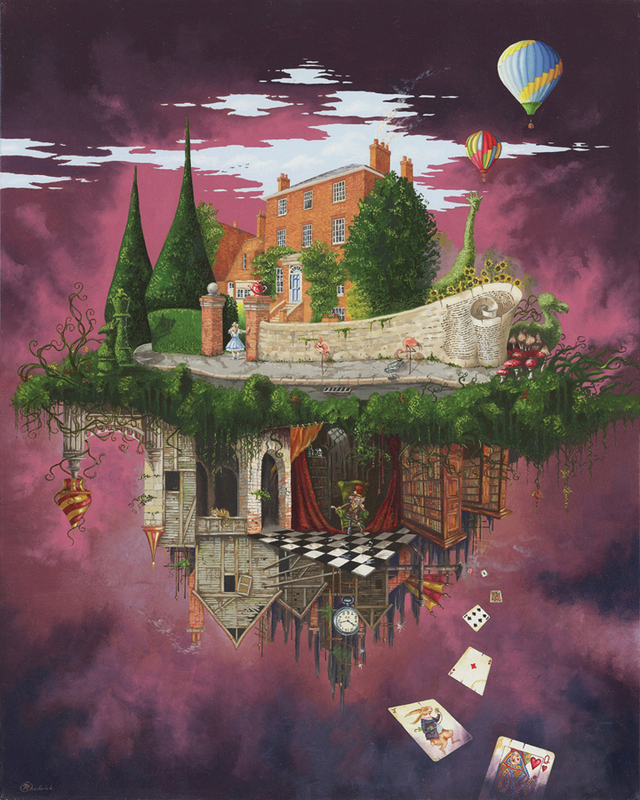 “Wacky & Wonderful World of Martin Chadwick”… click here for his website. 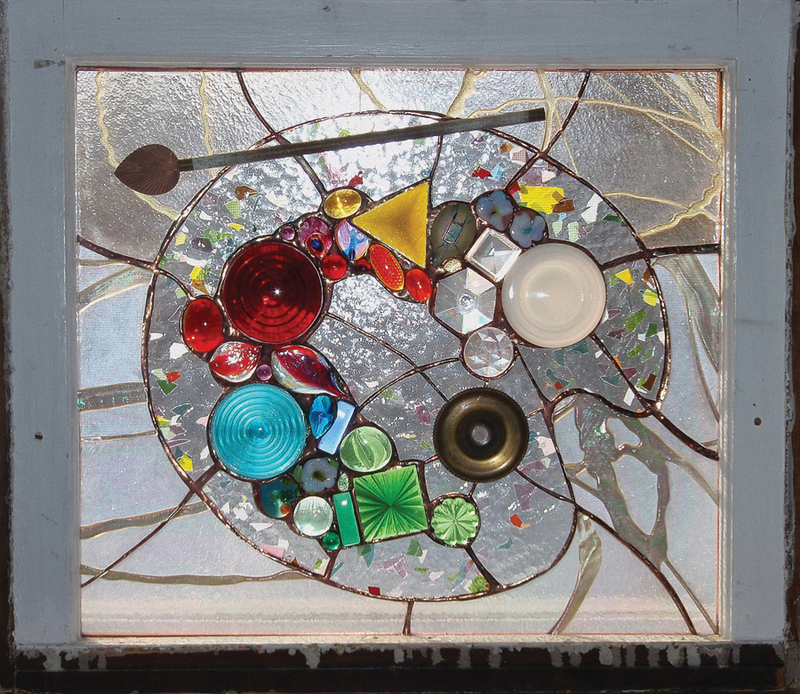 Click here for updates, photos and to follow “Art In The Garden” on Facebook. 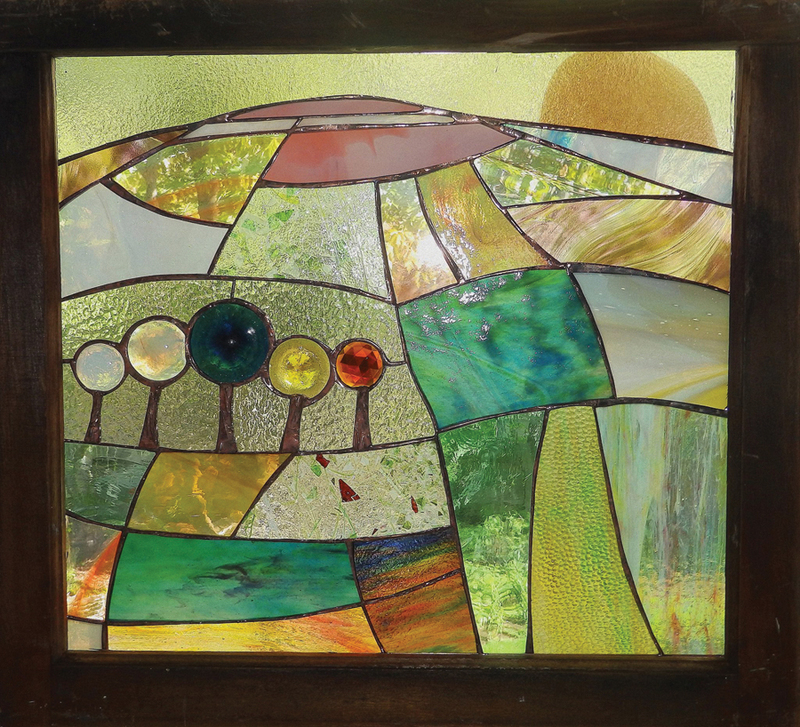 Another new artist joining us this year in Amy’s backyard will be Alison Fox. 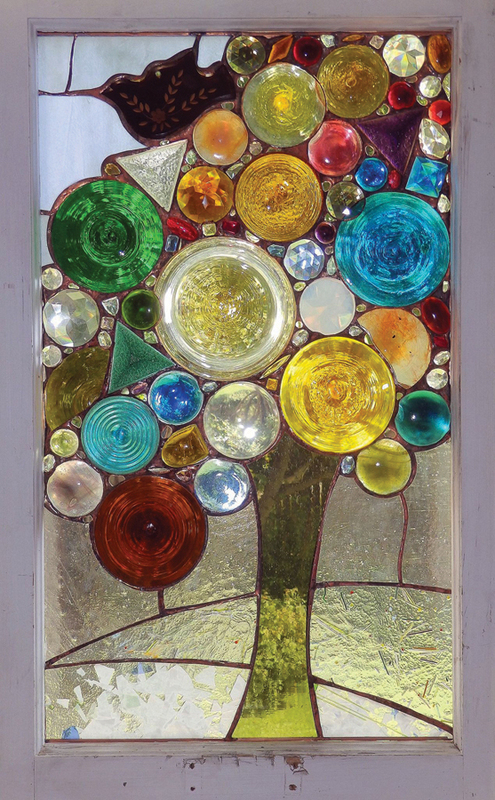 Here stained glass pieces are not quite normal. But instead an exciting mixture of classic techniques and unconventional pieces added in. Antique prisms, vintage bottle glass, trinkets, cabachons, and so many other things may find their way into one of Alison’s pieces. Clever. Colorful. Eccentric. 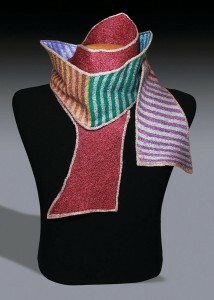 For more information or more images of her work, click here for Alison’s website. 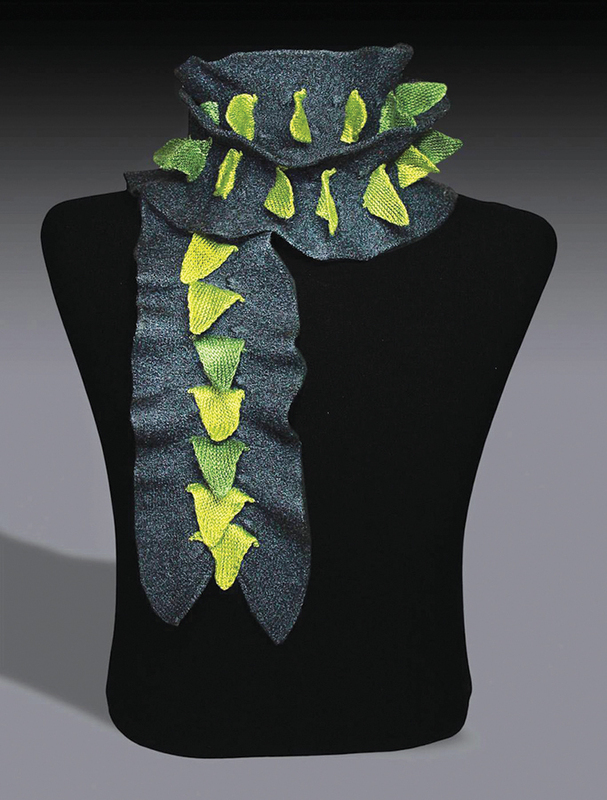 One of the new artists joining us this year “in the garden” will be Kristin Gereau. 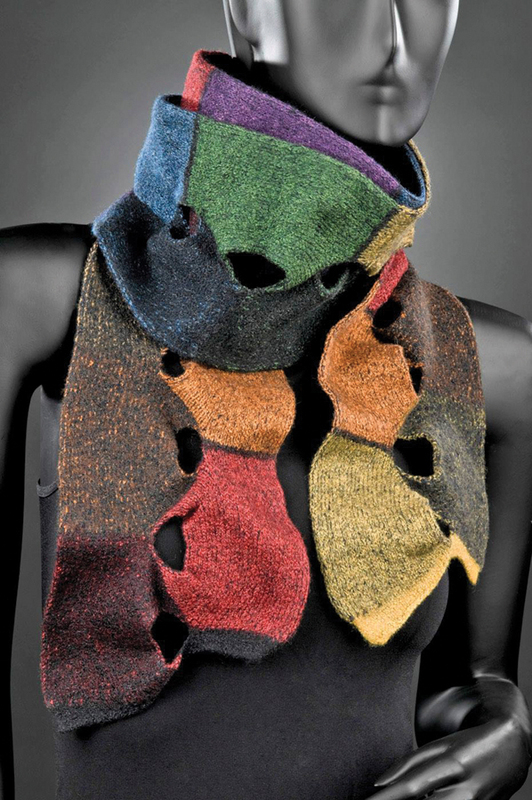 I haven’t met her yet, but I’m definitely looking forward to seeing her and her wonderful knitted textiles. 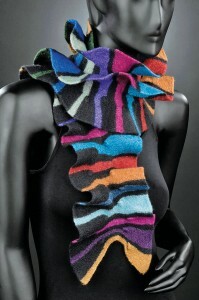 I love the color combinations, patterns and structural designs. And with this wave of unseasonably cool weather we’ve been having, I might just need a new scarf to stay warm in Amy’s backyard?! 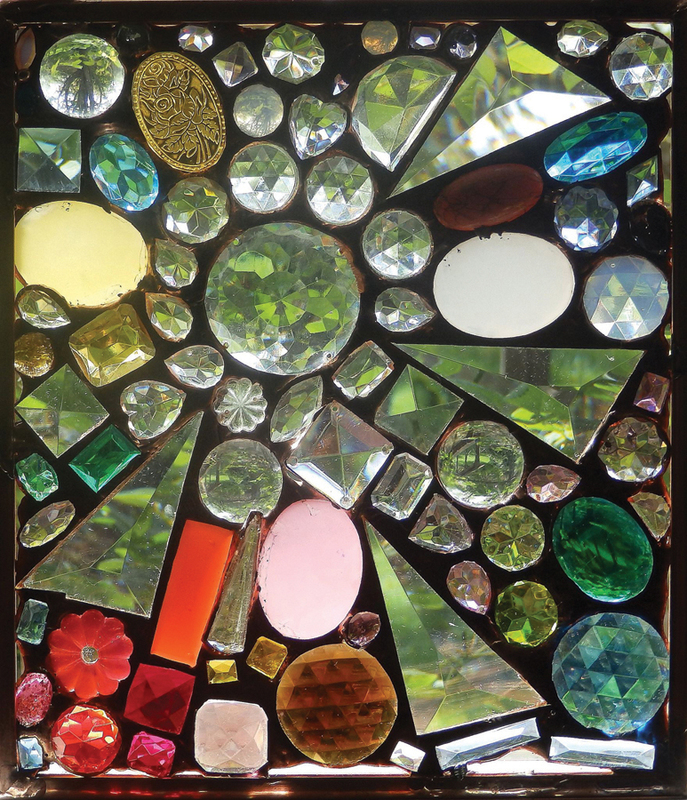 For more information or images of Kristin’s work, click here for her website.